...... And you're waiting for the world's mousetrap manufacturers to beat a path to your door. Hate to mention it to you old chap but you may be in for a very long wait. You may have the best, cheapest, coolest mousetrap ever but that is not necessarily what the murine disposal industry is looking for. What they are probably looking for are increased profits and your invention may not actually deliver that to them. In fact, it may reduce their profits - at least in the short term - as your product may require new tooling and a lot of marketing. If customers are satisfied with an existing product it is not be in a manufacturer's interests to change it unless he is forced to do so to retain market share. if you have invented a product that is likely to render everything else on the market obsolete then you may have to make (or have it made) and market it yourself as James Dyson did with his bagless cleaner. Despite its obvious advantages, no British manufacturer would take a licence for Dyson's invention because it would have undermined the market in replacement bags which was very profitable to the industry. If for whatever reason self-manufacture and marketing is not an option, licensing your invention is not an easy option. You have to sell not only your invention to your intended licensee but also the advantages of taking a licence from you as a business proposition. And you can expect a "yes" only if the advantages of doing business with you clearly exceed all other available uses of the licensee's resources. You are likely to do that only if you produce what is in effect a business plan for the licensing proposition backed up with the same sort of market research and financial forecasts that you would produce for your own start-up business. If you do get a "yes" you have to negotiate and draft your licence agreement very carefully. Remember that the loyalties of your licensee's management lie not to you but to their shareholders who may often be themselves. It is in their shareholders' interests to drive the hardest possible bargain with you and, if possible, cut you out altogether. You therefore need good professional advice from lawyers, patent attorneys and others in negotiating and drafting the licence agreement. Make sure, for instance, that your intellectual property covers not just the technology but also (so far as possible) the business opportunity. Also negotiate clauses ensuring minimum royalties, regular information about costs, production, sales and marketing, cost-effective and speedy dispute resolution. It is a sad fact of life that good professional advice does not come cheap. 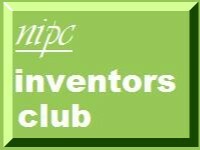 Having set up and chaired inventors' clubs in Leeds, Liverpool and Sheffield, having run IP clinics throughout the North and having practised intellectual property law for many years I am very aware of the problems of licensing and how to avoid or mitigate them from the perspectives of both licensors and licensees. If you want to discuss this article or any other issue relating to your invention or licensing give me a call during business hours on 020 7404 5252 or fill out my contact form. You can also reach me on Facebook, G+, Linkedin, twitter and Xing, Enjoy your weekend.